Sanju Box Office Day 14: After clocking a record first week of 202.51 crores, Sanju starring Ranbir Kapoor had a superb second week as well, what with 91.50 crores* coming in. That has elevated the film’s overall collections to 294.01 crores*. The film is an ALL TIME BLOCKBUSTER already and now further records would be surpassed as it enters the 300 Crore Club tomorrow. The film has now also gone past the lifetime numbers of Dhoom 3 [284 crores] and it is about time that Padmaavat [301.50 crores] and Sultan [302.15 crores] are history as well. Post that, Bajrangi Bhaijaan [321 crores] would be crossed as well during the weekdays, hence bringing Sanju next only to Dangal, PK and Tiger Zinda Hai. Let’s start talking about those records once the Ranbir Kapoor reaches that stage. Meanwhile, given the kind of fantabulous second weekend that the Rajkumar Hirani, Vidhu Vinod Chopra and Fox Star Studios film had enjoyed, one would have expected the second week to be closer to the 100 crore mark. However, the weekdays were not on the same lines as the kind of jump that was evidenced on the second Saturday and Sunday. Sanju Box Office Day 13 Early Trends: Bhopu Baj Raha Hai For Ranbir Kapoor & Team! 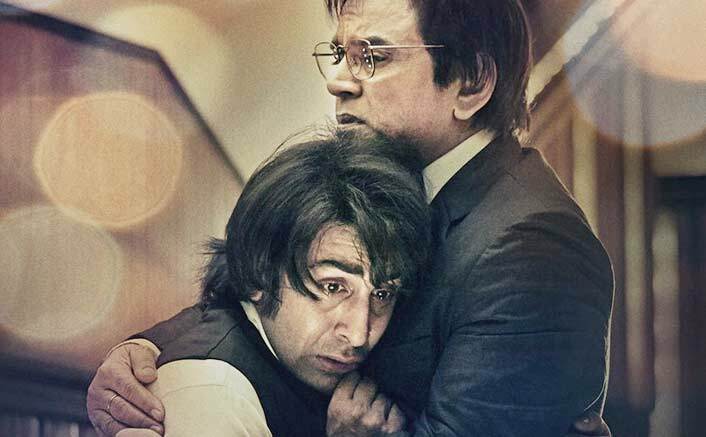 Sanju Box Office Day 12: This Ranbir Kapoor Starrer Crosses The 280 Crore Mark! Nonetheless, the numbers accumulated so far are still quite huge and Sanju has added to the winning season that Bollywood is enjoying in 2018. The film has undone the disappointment that one had faced with Race 3 which was also touted to be bare minimum 200 Crore Club entrant. Between Race 3 and Sanju, at least 500 crore were expected and that is still happening which evens things out at the Box Office for the industry. The post Sanju Box Office Day 14: Ranbir Kapoor Starrer Has A Superb 2nd Week Of Over 90 Crores! appeared first on Koimoi.